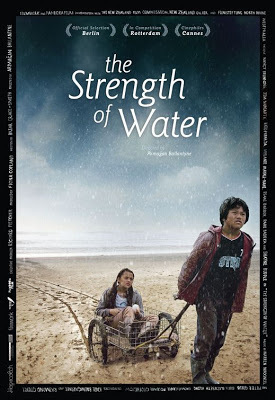 The Strength of Water. 2009. A rare New Zealand film about the Maori family: when a mysterious stranger arrives in their isolated coastal town, 10-year-old twins, Kimi and Melody are forced apart. Kimi must find the strength to let go of what he loves the most. Cast: Isaac Barber, Hato Paparoa, Melanie Mayall-Nahi, McCarthy Pearse, Jim Moriarty, Richmond Patua, Nancy Brunning, Shayne Biddle, Trearjn Prangley, Matthew Sunderland. Download The Strength of Water.